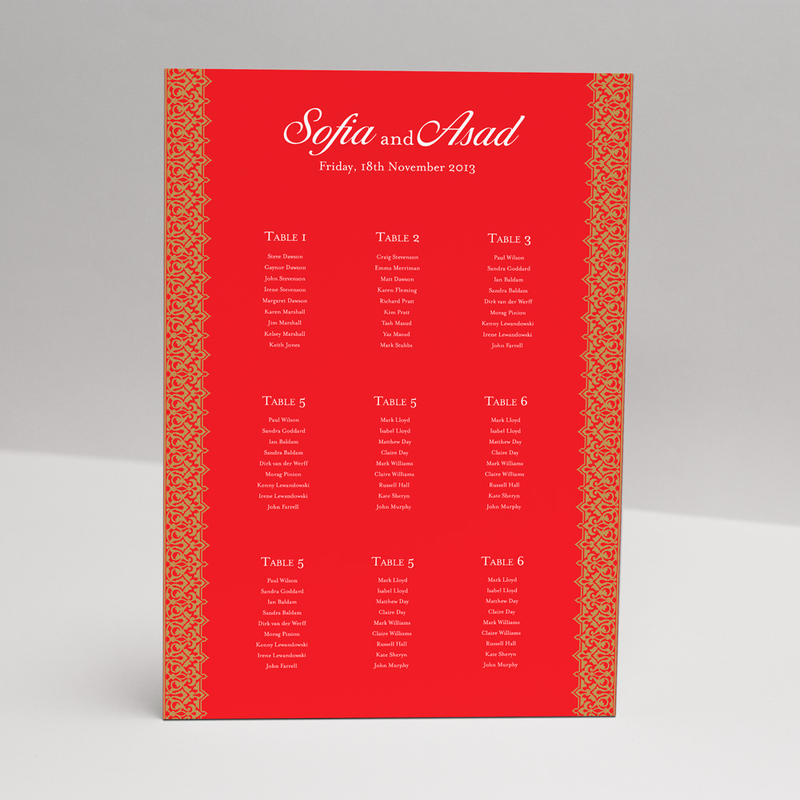 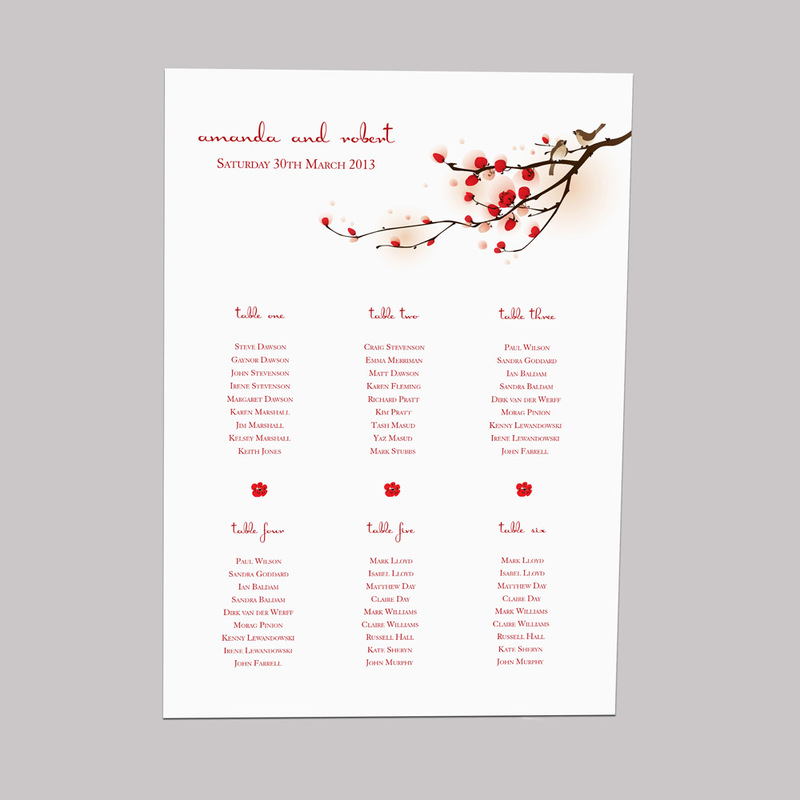 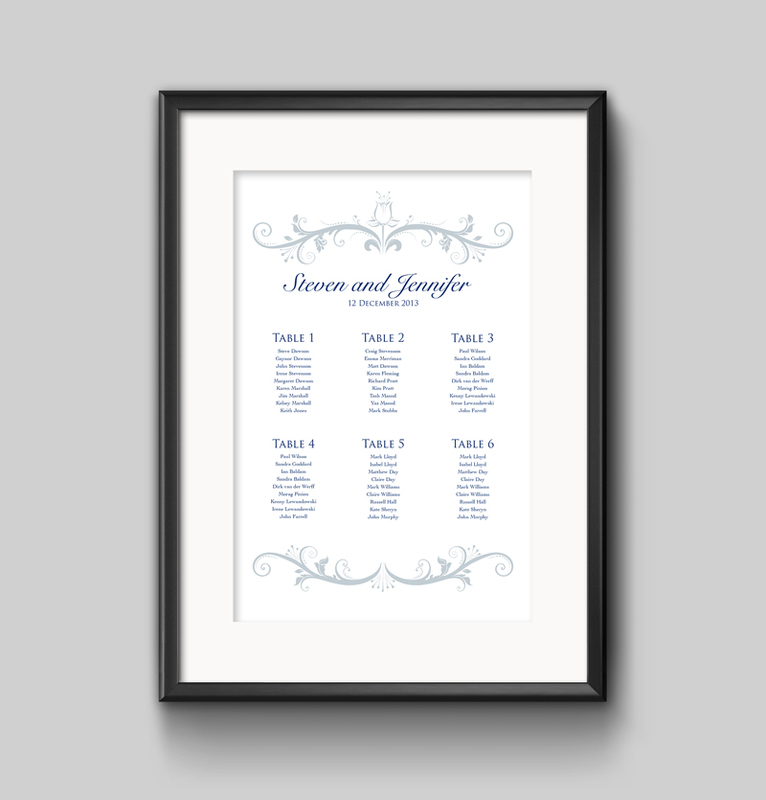 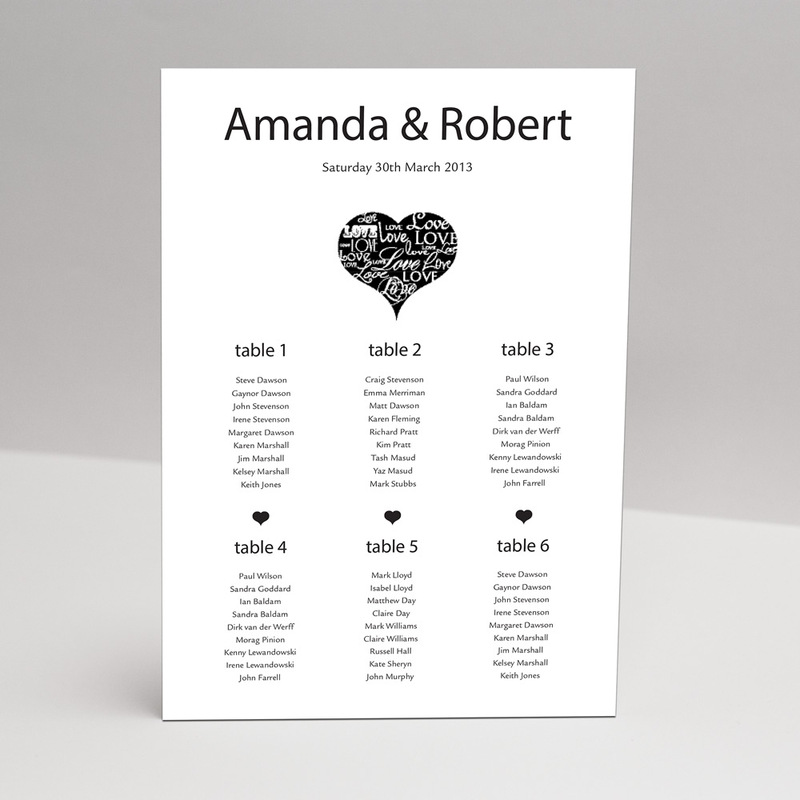 At Glasgow Creative we can design and print custom table plans or your big day to let your guests know where they are sitting. 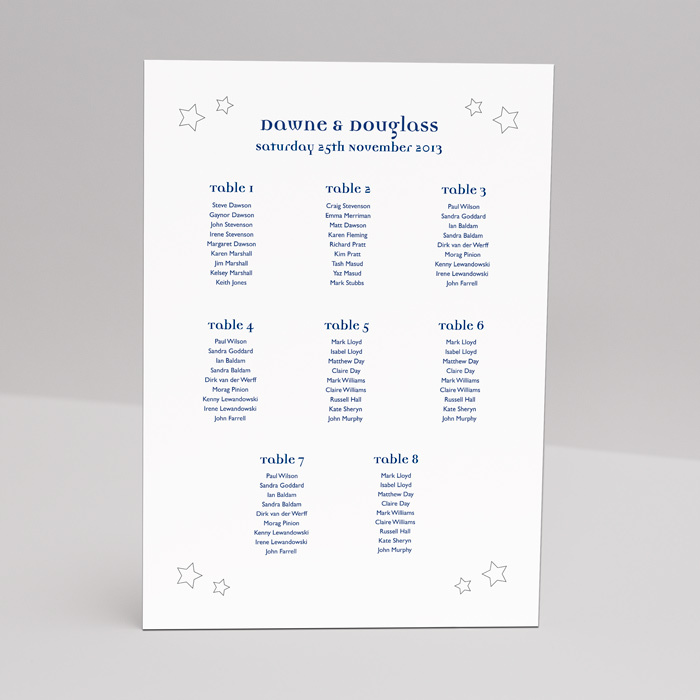 These can be in various sizes from small A5 cards to go into holders on tables or large A1 posters to show the venue layout and table plans. 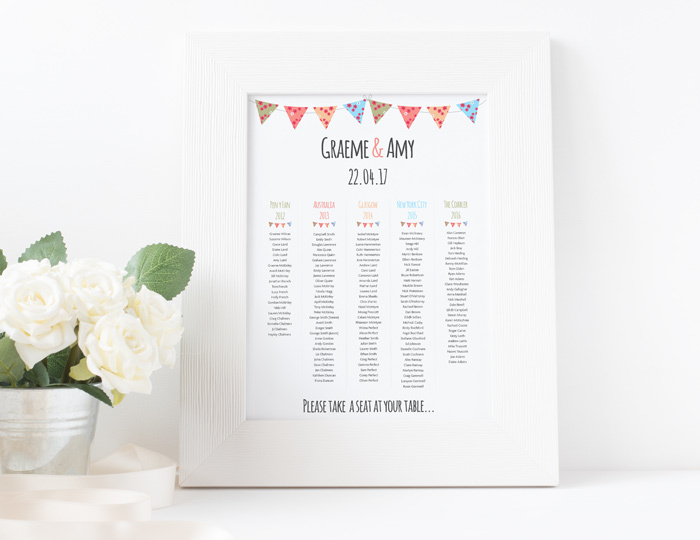 Let us know your requirements and we would be happy to design something that fits perfectly with your wedding style and colours for your big day.